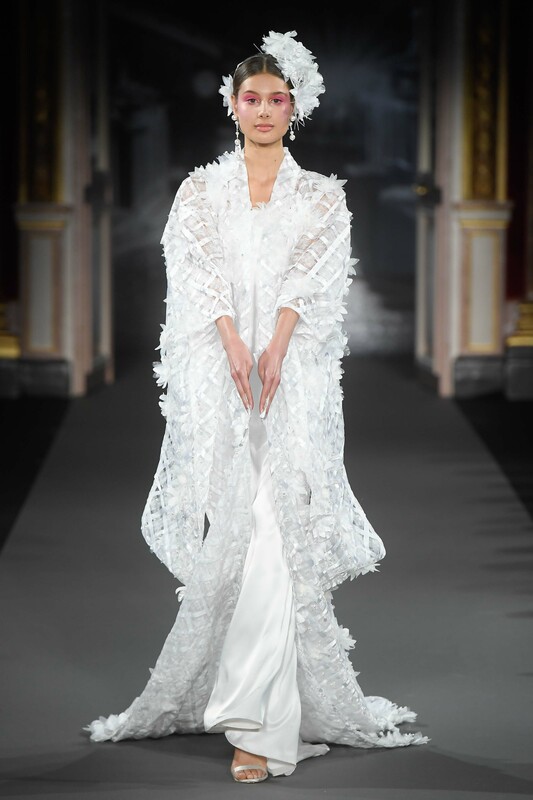 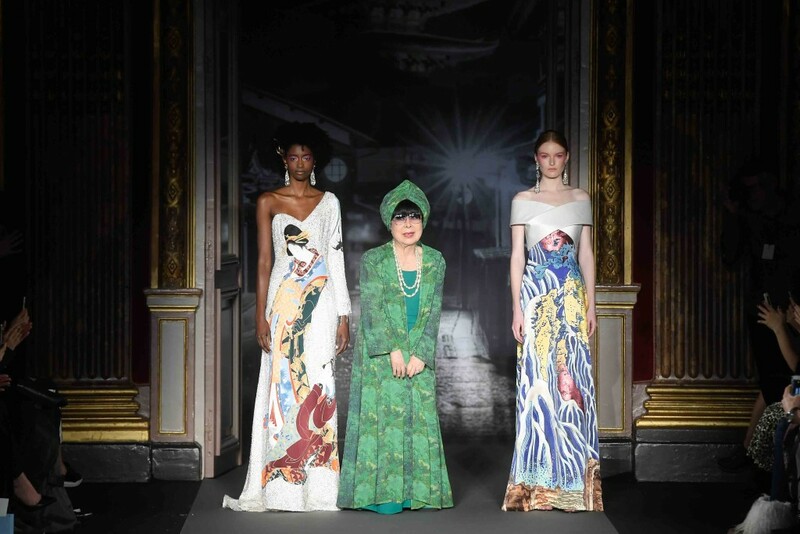 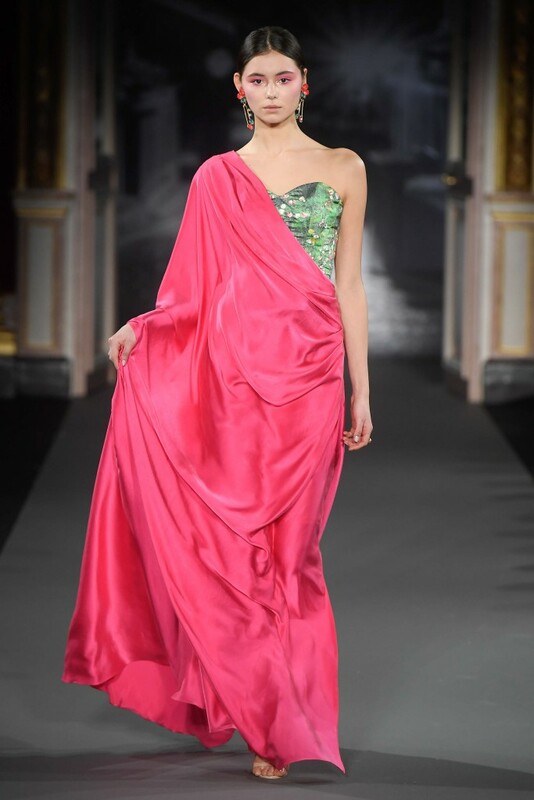 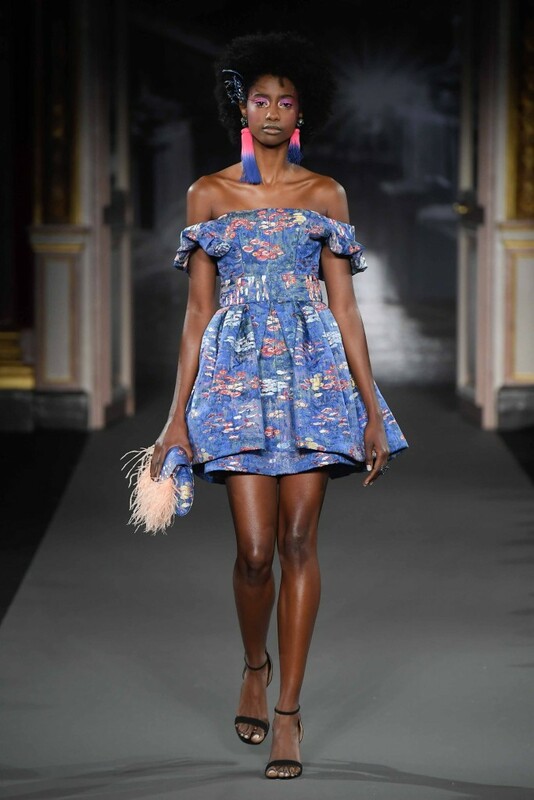 The Yumi Katsura’s Haute Couture fashion show took place at the Hôtel Westin, just a short walk away from Place Vendôme. 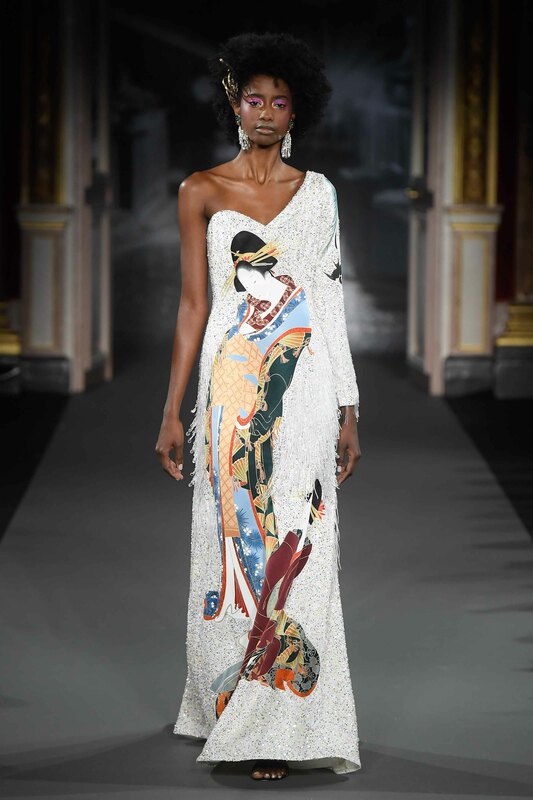 The ballroom with its second empire-style frescoes and an aura of elegance was perfectly reflected in this year’s Spring/Summer collection. 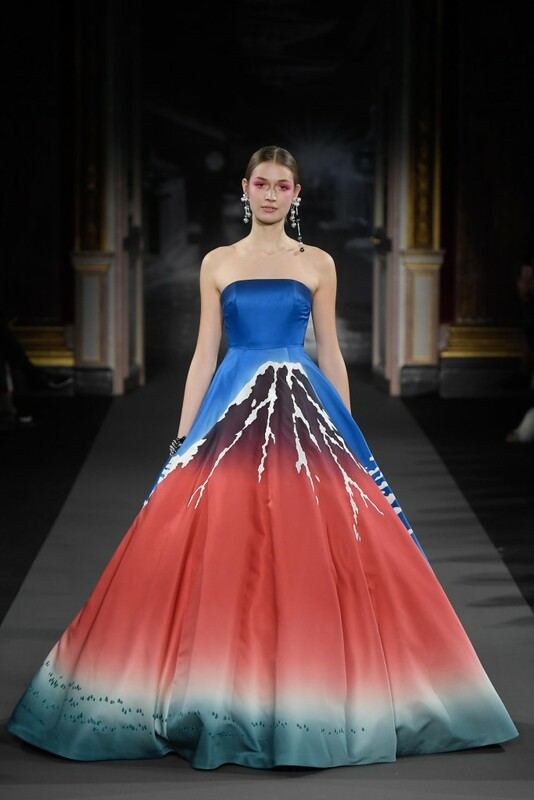 Rooted in Paris Haute Couture Fashion, the 85-year old Japanese designer is famous for her combination of techniques and her expertise on Parisian couture and ancient Japanese art. 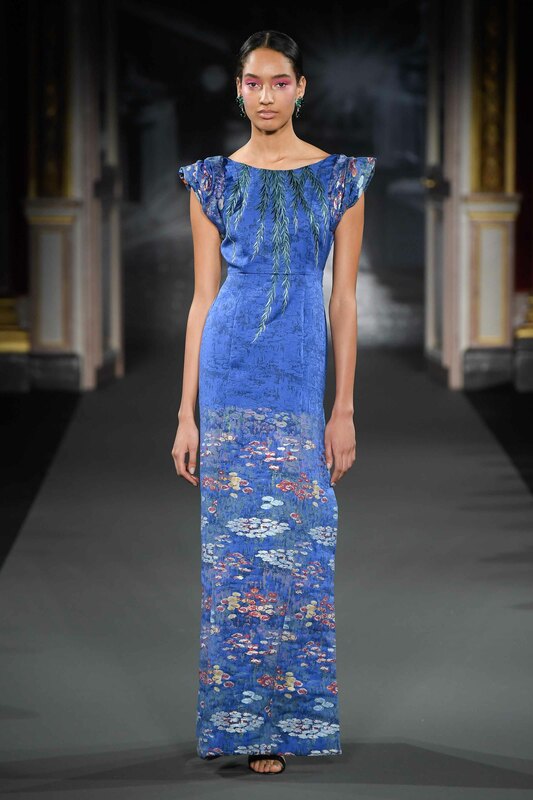 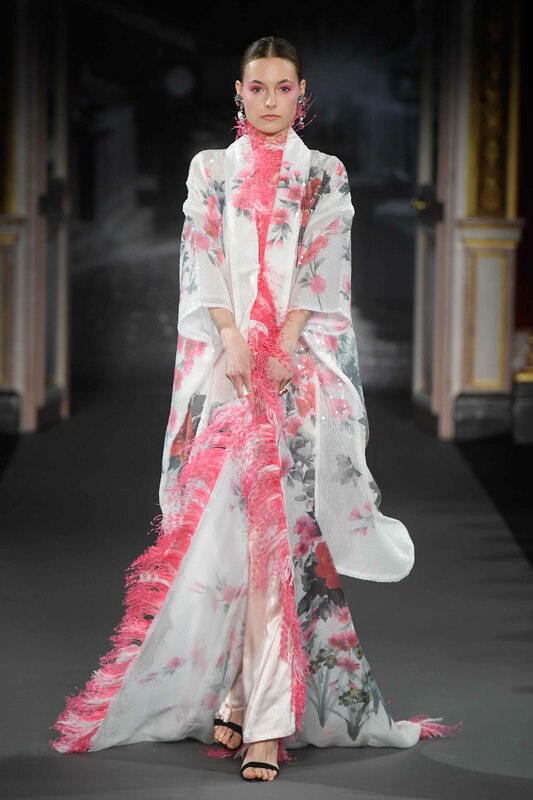 In her silky, feminine dresses, the Orient meets the Occident and merge in perfect symbiosis. 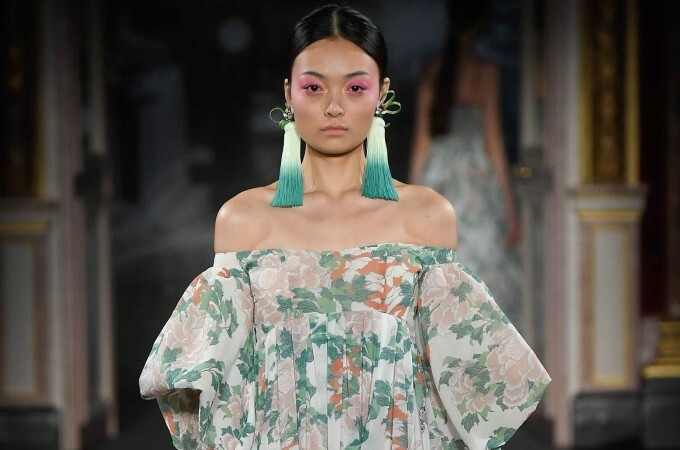 This year’s « Bond » collection once again demonstrates her use of beautiful floral prints and graphic designs from her native Japan, combined with western Haute Couture cuts. 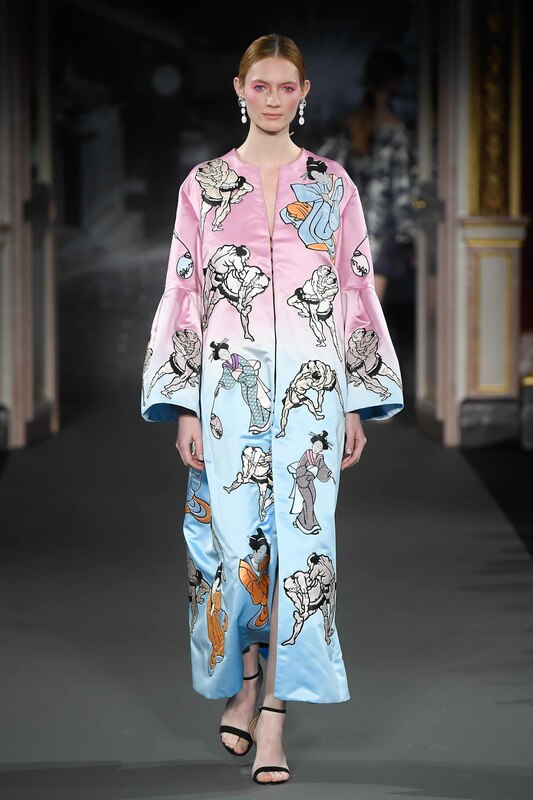 The prints are greatly inspired by the famous painter Hukosai, known for woodblock prints and the Japanese art « Ukiyo-e ». 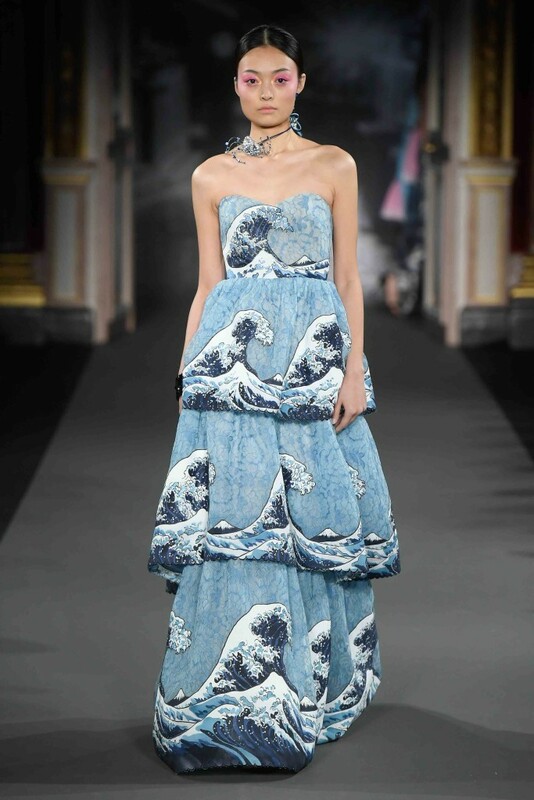 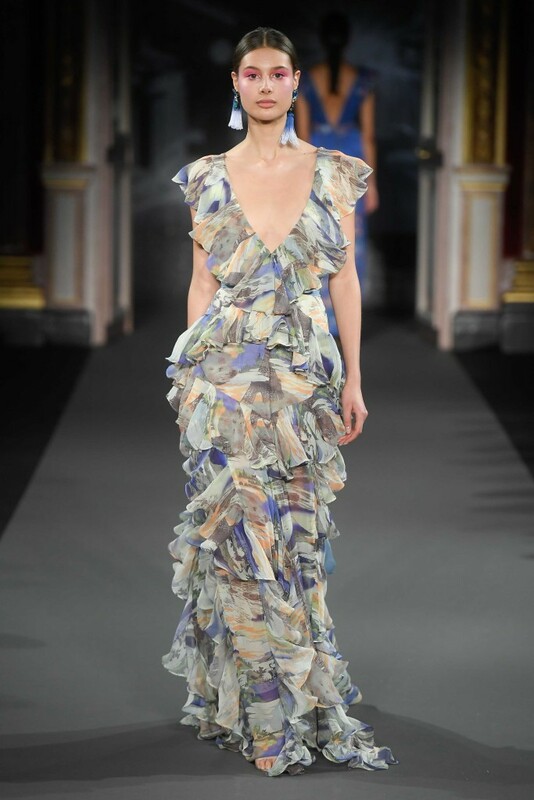 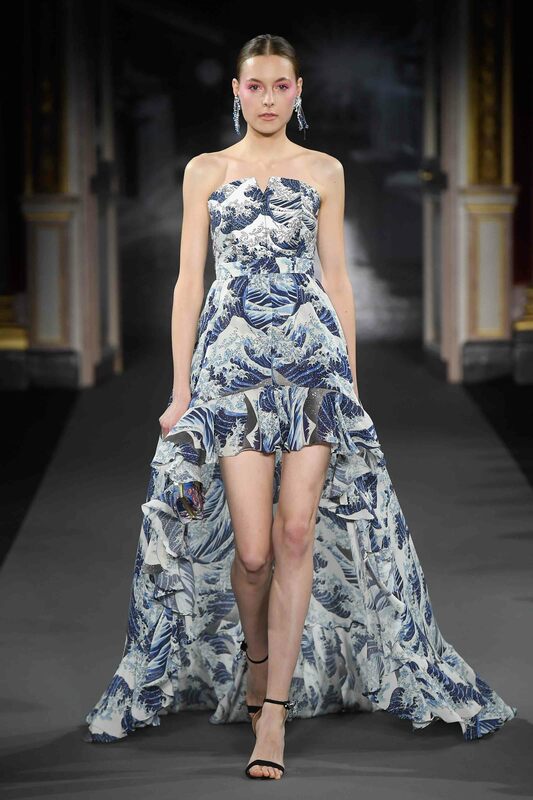 One of our favourite pieces was definitely the dress representing « The Great Wave of Kanagawa ». 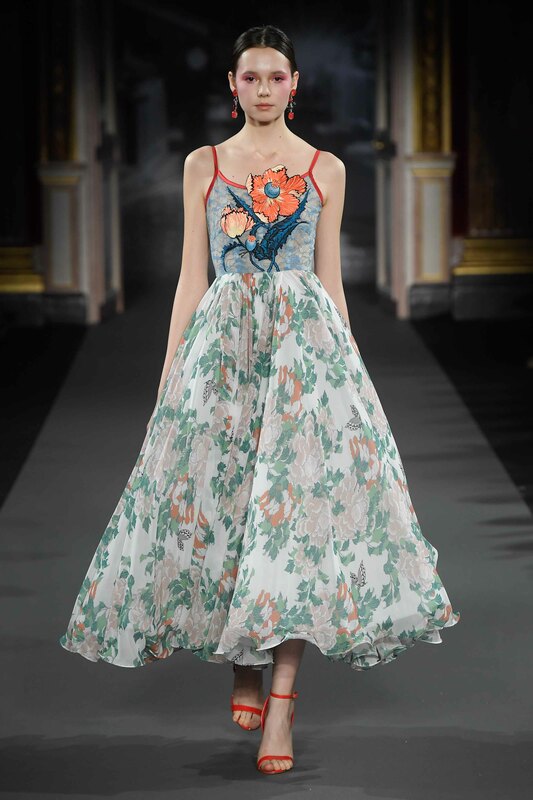 Not only the print but also the shape paid tribute to this famous painting. Yumi Katsura is also known for transforming the Kimono into a modern garment. 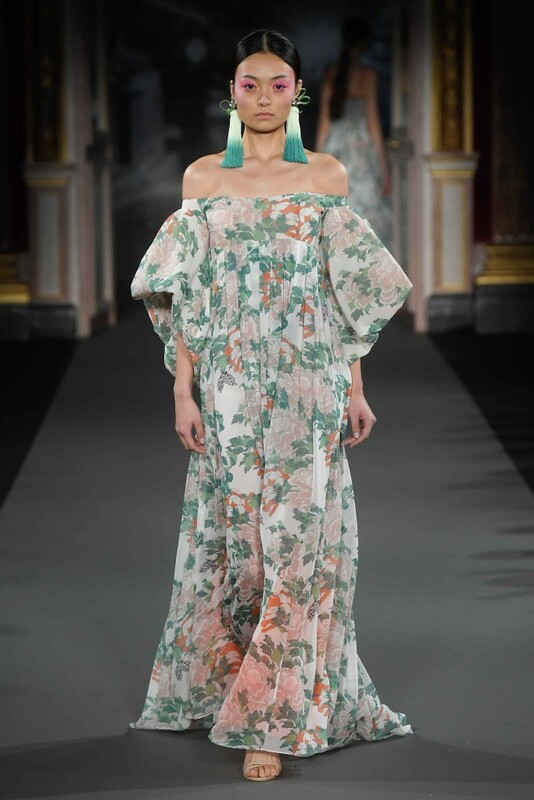 She uses original fabrics like silk and adds volume to the lines of this traditional dress. 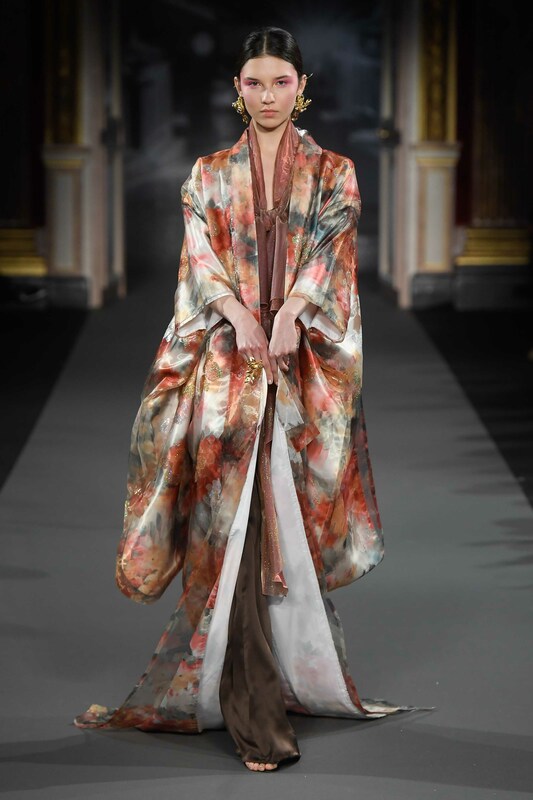 The Spring/Summer 2018 collection didn’t fail to impress and to remind us how beautifully and elegantly the Kimono can be worn today. 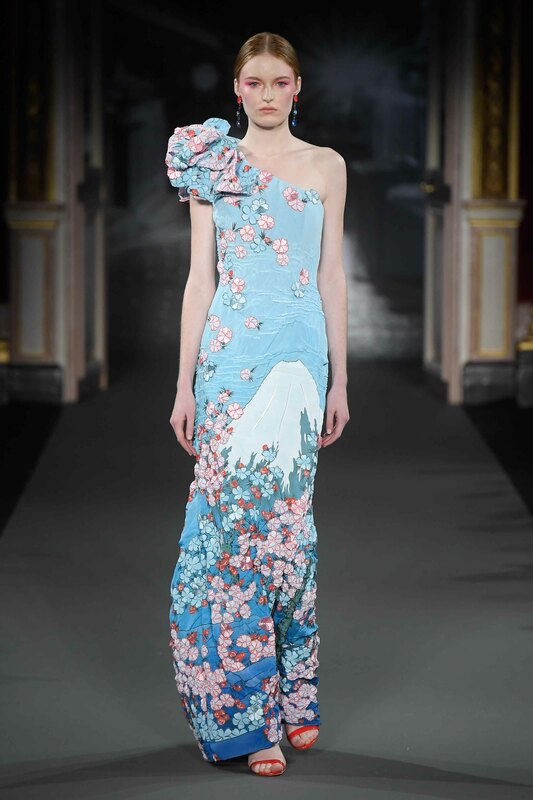 Yumi Katsura’s showroom in Paris is located in 26, Rue Cambon, 75001.